It’s a question you often hear our patrons asking when they come to our Festival. The Shakespeare Lexicon describes a ‘bard’ as a singer and soothsayer among the Celts; that would put them in Ireland, Scotland, and Wales from 900BCE to 450CE. Over the years that followed, the word became a synonym for a performing poet. Curiously, Shakespeare uses the word ‘bard’ only twice. In Richard III, Richard is worried about the rebellion led by the Earl of Richmond, and says “Because a bard of Ireland told me once/I should not live long after I saw Richmond.” Also in Antony and Cleopatra, we’re told that “hearts, tongues, figures, scribes, bards, poets cannot/Think, speak, cast, write, sing, number/[Caesar’s] love to Antony.” It’s clear that Shakespeare saw bards as powerful influencers in the world. Meantime the term also shows up today, in popular culture. Fans of the Harry Potter series may recognize the title because of Beedle the Bard, the famous writer of The Tale of the Three Brothers. 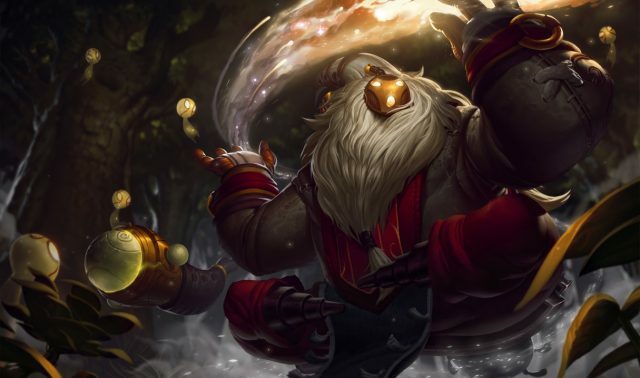 Bard is also a character in the online game League of Legends in which he’s known as the Wandering Caretaker; he’s useful in maintaining his team’s health, and is said to travel to realms beyond human imagination. So how does this lead us to the naming of your favourite Vancouver Shakespeare festival? There are many famous Bards around the world, connected to specific places – Rabindranath Tagore, the Bard of Bengal, or Alexander Pope, the Bard of Twickenham. Shakespeare is known as the Bard of Avon, but he’s also called the Immortal Bard. His immense popularity across the globe has led him to be known as THE Bard, and that’s why it’s part of our name. ‘Bards’ change the world with their words and their creations. They can heal us and help us grow emotionally and spiritually. Bards go into worlds we never dreamt of, and in Vancouver, you’ll find them by the beach in Vanier Park.